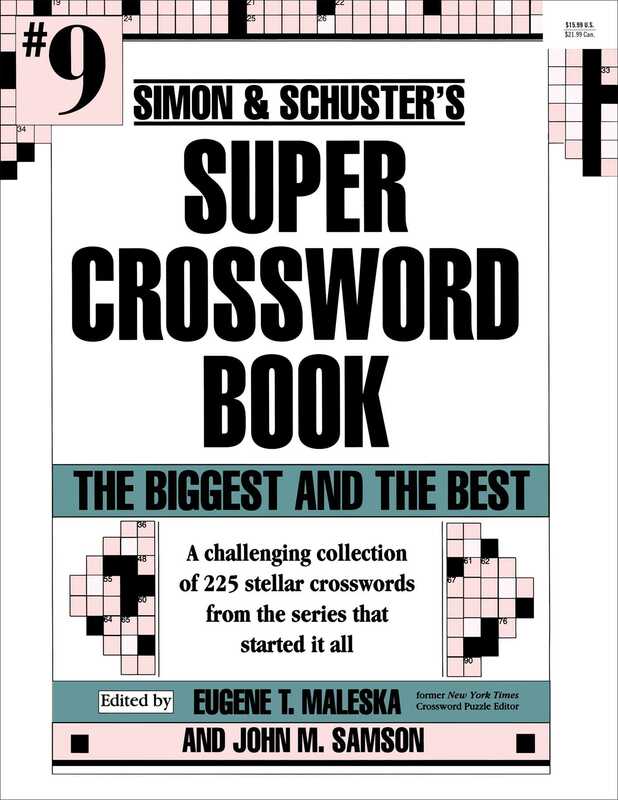 John M. Samson is an expert crossword puzzle constructor and editor. His crosswords have been published in leading magazines and newspapers across the country, including The New York Times. He lives in upstate New York. John’s favorite published crossword is his three-page centerfold for Golf Digest featuring pictures of past US Open winners. John’s puzzles have appeared in unconventional settings: on cereal boxes, a rock band’s album cover, and the side of a three-story brick building. A jigsaw puzzle for US Congress members, a crossword in the shape of the H. J. Heinz keystone logo, and another in the shape of an Absolut Vodka bottle were memorable design challenges. John has been honored to construct special birthday puzzles for Lee Iacocca, F. Lee Bailey, Ed Ruscha, Keith Hernandez, Frank Sinatra, James Stewart, and Harry Connick Jr., and framed fan letters from Stephen King and Frank Sinatra hang proudly in his upstate New York office.